Oh, boy. 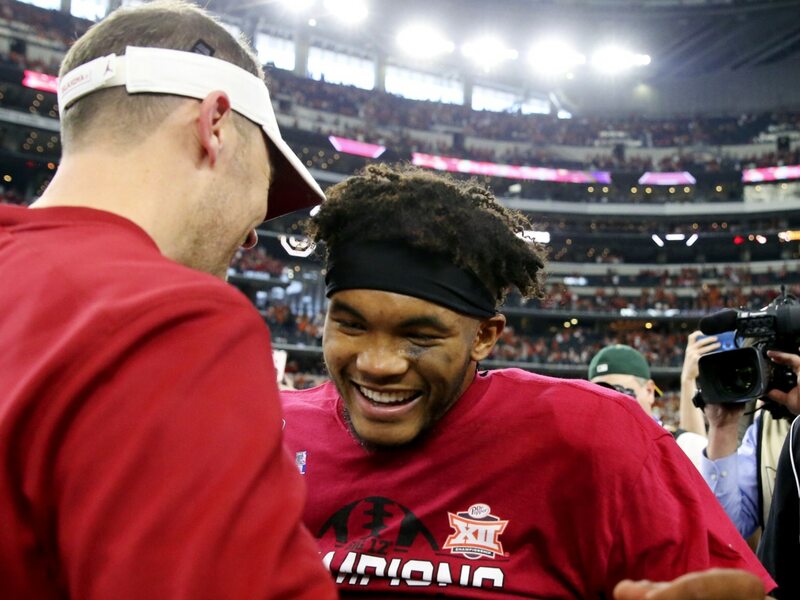 The Kyler Murray situation isn’t getting any better, folks. In fact, it appears his father’s influence could be hurting the young man quite a bit. Matt Miller of Bleacher Report, speaking about Murray on his Stick to Football podcast, shared some insight into what others think about it all. “He’s still going in the first [round], but he needs to get a [expletive] agent and do it the right way,” one person told Miller. If you watched the interview Murray did with Dan Patrick during Super Bowl week, then you understand at least in part what this NFL insider is referring to. Murray — by seemingly all accounts — wants to play football. He declared for the 2019 NFL Draft and reportedly told the Oakland Athletics he wants to pursue his football career. Yet when asked whether he would attend the NFL Scouting Combine, or whether he’d be at spring training, all he had for an answer was crickets. It really does seem like Murray would greatly benefit from having an agent at this point. His father isn’t helping him put out the right vibes — far from it — as he ventures from the realm of collegiate sports into the professional world.